You can’t find the right drivers or compatible hardware for your device because you don’t know the exact product name or BIOS serial number? 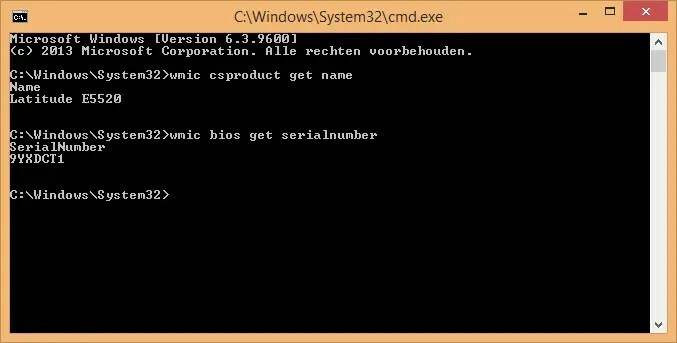 There is a command to find the exact product name and BIOS serial number. Go to start and find the Command Prompt (CMD) right click it and choose ‘Run as Administrator’. Yeah… It’s easier than you thought. Good luck! If you need to replace hardware like a harddisk, or motherboard you’ll need the device name and probably serial number. Finding drivers for your device is also very easy. Type in the device name or serial number and the drivers you need will be on the top of the search engine.